According to a recent news article from the Boston Herald, a 15-year-old girl from East Boston has died in a car accident. Authorities are reporting that this deadly pedestrian accident occurred just before 8 p.m. on a Tuesday evening. While Boston police have not released much information on how the crash occurred, we do know that the driver stayed on the scene following the fatal accident and was cooperative with police. Police are still conducting a full investigation into what happened that night, and they are trying to determine if weather played a factor in the deadly accident. 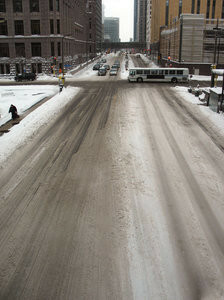 At the time of the accident, it was starting to snow across the Boston area. They have said that the accident occurred when the vehicle struck the victim while she was crossing the street. Victim was a student attending Boston Public Schools. It should be noted that the driver was not charged with any crime or cited with any serious motor vehicle infraction as of the time of this article, and police are continuing to investigate the matter. Weather related car accidents are often fairly difficult to litigate in court. This does not mean that you will not be entitled to a full and appropriate financial recovery for the total extent of your pain and suffering, but it does mean that you should speak with an experienced Boston car accident attorney about the facts of your particular situation to see how the law of negligence applies to that specific situation. One of the main things to determine is not necessarily if weather or road condition caused the accident, but whether the driver was driving his or her vehicle in a manner appropriate for the road conditions. This is an objective standard, where the fact finder compares alleged at-fault driver’s actions to the actions of a hypothetical reasonable and prudent person. This is dealing with second element in a negligence case, which is breach of a duty of due care owned to plaintiff, as well as the third element, which involves the difference between actual and proximate causation. The easiest way to understand this is to look at a hypothetical example. If a driver is driving his or her car down the Mass Pike at normal highway speeds in bad weather and hits a patch of black ice (virtually invisible), and this causes the car to spin out and crash into another car, there is no question the ice was the actual cause of the accident. This is also known as “but for” causation, meaning the accident would not have happened but for (except for) the car hitting the ice. However, you can’t sue ice, so the question becomes was driver operating in a reasonable and prudent manner for icy conditions. Even if he or she couldn’t see the ice, was it reasonable to expect black ice and drive slower to prevent this from happening? East Boston girl, 15, dies after being hit by car in Randolph, February 24, 2016, Boston Herald, By Colneth Smiley Jr.